We are here to provide you the specialised services in the following areas which no other small or big security contractor normally can do. a) that the client had been regularly and timely making payment of the security charges and not more than amount of One months billing is outstanding against the clients at the time of loss. b) When either is subject to force majeure. 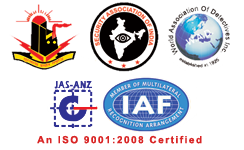 This is to certify that M/S CD SAFETY & SECURITY SERVICES PVT. LTD providing us the security vigilance and detective services. After availing their services there is a lot of improvement in material handling and no theft, pilferages are found inside the factory. Being a dairy industry many trucks, loaders, drivers are coming inside the factory, with the help of CD Safety and Security Service’s strict and efficient discipline is maintained. This has helped us to achieve ISO 14000 and HACCP certifications. Company is proficiently managed with efficient workforce.